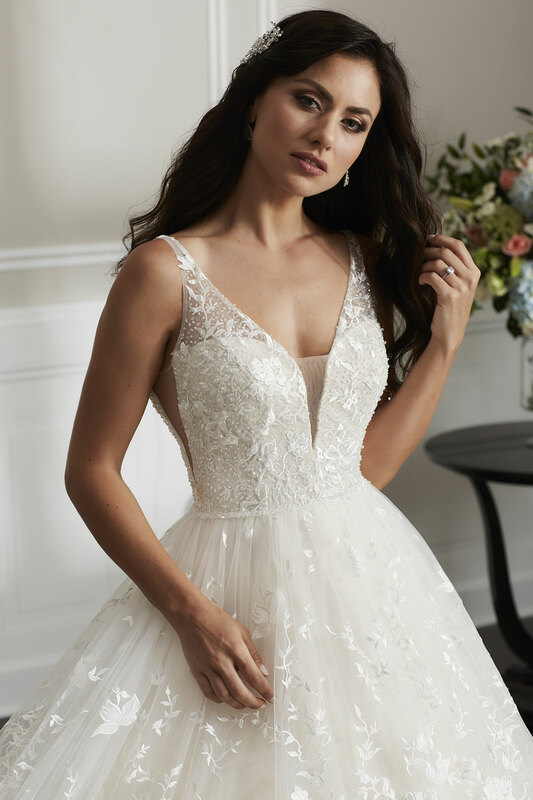 This dramatic, A-line ballgown is sure to wow. A plunging neckline bodice is covered in floral ace and hand beading. The skirt is made up of all over lace and sparkle net and has generous volume that is sure to turn heads.